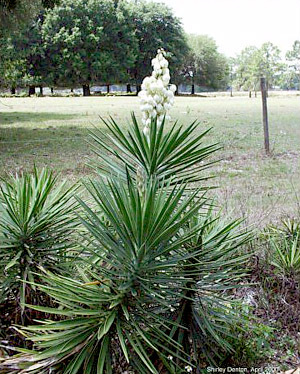 General Landscape Uses: Accent or specimen shrub in coastal areas. 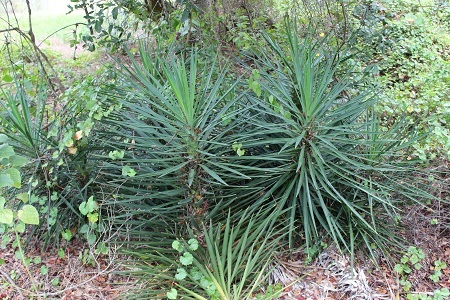 Spiny barrier plantings. 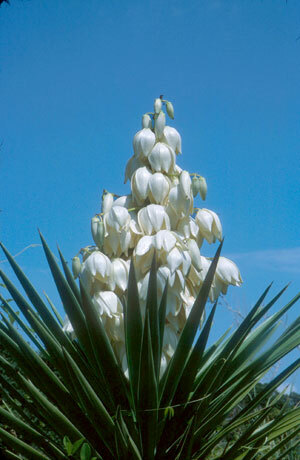 Description: Medium to large shrub with an erect or creeping trunk. Bark thin, dark brown, rough. 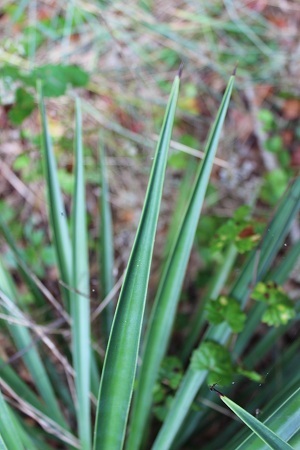 Leaves stiff, with a spiny tip, about 1-3 feet long. Dimensions: Typically 3-8 feet in height in South Florida; to 15 feet in Florida. Sometimes as broad as tall but often taller. Range: Southeastern Unites States south along the Florida coasts to the Monroe County Keys; West Indies and Mexico. Rare in the Monroe County Keys. 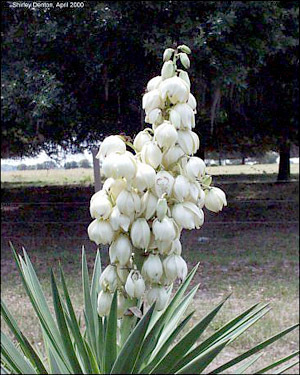 Long cultivated in the interior of South Florida and sometimes persisting. For a digitized image of Elbert Little's Florida range map, visit the Exploring Florida website. Habitats: Coastal forests, thickets and grasslands. Soils: Moist, well-drained sandy soils, with or without humusy top layer. 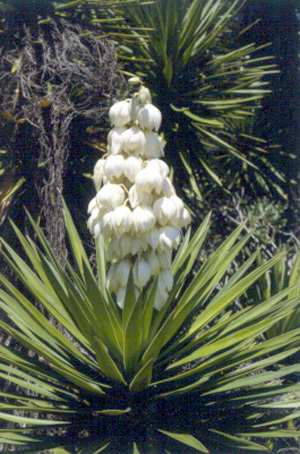 Flower Characteristics: Showy, bell-shaped. Fragrant at night. Wildlife and Ecology: Provides moderate amounts of food and cover for wildlife. 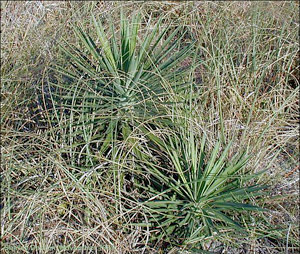 Larval host plant for cofaqui giant skipper (Megathymus cofaqui) and yucca giant skipper (Megathymus yuccae) butterflies. Nectar plant for great southern white (Ascia monuste) and other butterflies. Horticultural Notes: Can be grown from seed and stem cuttings.